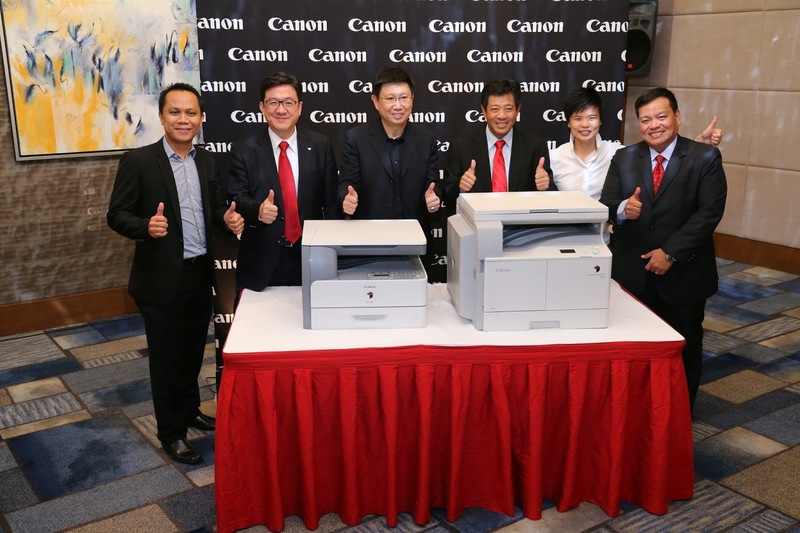 Aiming to promote efficiency in business workplaces all over the country, Leading printer brand, Canon Marketing (Philippines), Inc. partners with MSI-ECS, one of the country’s leading ICT Distributors. This is in line with the Canon's goal of promoting efficiency in businesses and workplaces all over the archipelago. With its extensive channel reach, MSI-ECS will make it easier for businesses to improve efficiency in their working environment by adding Canon products in their distributions list. The imageRUNNER 1024, a hassle free entry-level A4 copier designed to meet small business office needs and imageRUNNER 2002, an A3 copier which comes packed with a unique array of features including Remote Scanning, ID Card Copy and image combination, will be the banner models under the partnership. Both known for providing the best solutions for personal and business needs, Canon and MSI-ECS will team up to offer small and big enterprises everything they need to optimize their capabilities. Canon has been in the forefront of maximizing efficiency and improving the workflow of tasks by offering multifunction printers with cutting edge technology. Its products are designed not only to cater to workplace tasks—printing, copying, scanning, and faxing, they are also built to cover these tasks faster and better. Canon copiers also produce more while consuming less as compared to counterparts from other brands. They are also built to run on lower operating and maintenance costs. To further the reach of its copiers, Canon taps MSI-ECS. Being one of the leading ICT solutions providers in the country today, MSI-ECS has a solid track record in products distributions. It also has a very formidable channel reach spanning across the country with its head office catering to the greater manila area and provincial units strategically located in Cebu and Davao.